It was fun to turn on the t.v. and find a pop video that makes so many references to contemporary art. See how many you can count. 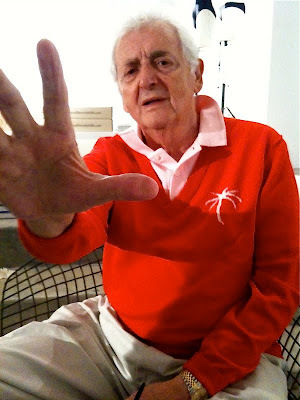 Harry Benson at his opening at Tomas Maier in Miami. I'll be the first to admit that the quality of iPhone pictures is at best passable, but this is far outweighed by the convenience of always having a camera with you. 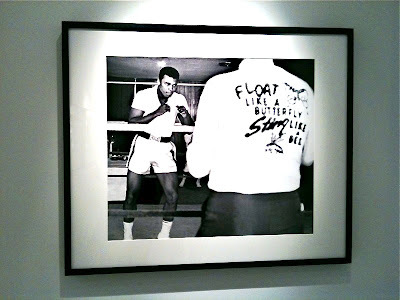 Otherwise I wouldn't have been able to capture my old friend Harry Benson at his recent Miami opening at Tomas Maier's Miami store. For those not in the know, Tomas Maier is the photography-loving creative director of Bottega Veneta - and rightfully considered one of the best designers around. In addition to overseeing B.V., Maier produces his own limited line of vacation-y accessories which he shows in the coolest shops you've seen - a shack off the Montauk Highway, a 2nd floor walk up hidden off Worth Avenue in Palm Beach, and a two story building in Miami's design district where he mixes up photography, art books, accessories by people he admires, and his own designs. 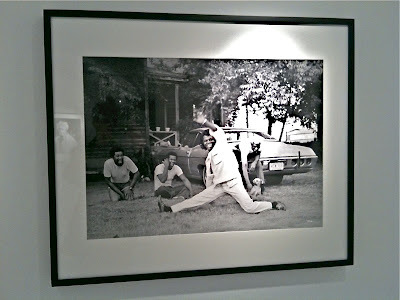 Anyway, Maier and Benson became friendly resulting in the Miami show of some of Harry's classic black and whites. Interestingly in light of the previous post on happiness - unlike most photojournalists Benson's pictures tend to record the light rather than the dark side of life as you will see in the selection below. 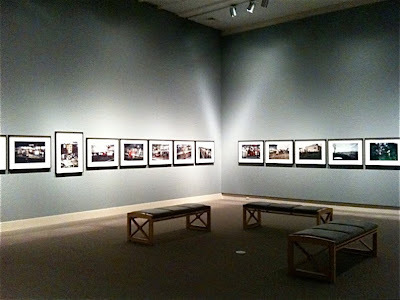 For those lucky enough to be anywhere near Miami the show is up through March 1. Mia Farrow and Frank Sinatra at Truman Capote's Black and White ball. 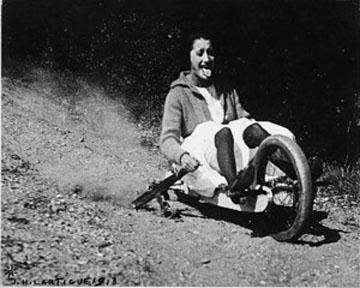 It also occurred to me that this would be a good time to launch The Year In Pictures own happiness project - so I am going to encourage all readers to send in their happiest picture to info@danzigerprojects.com along with a caption explaining why the picture is meaningful to them. 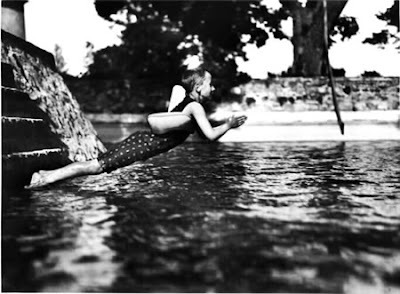 It can be a snap or a fine art photograph taken by someone else. 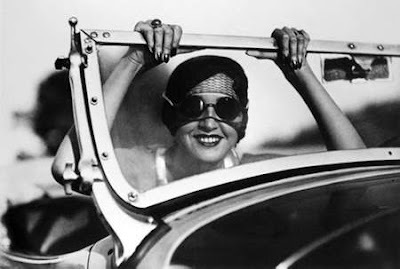 (Could there be any happier photographer than Lartigue - whose pictures illustrate this post?) Show me what you've got. All published pictures will get a copy of "The Nine Rooms of Happiness". 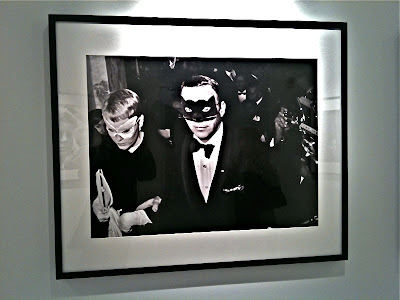 Don't Miss This Show - Cynthia MacAdams at Steven Kasher. Gallerist Steven Kasher and I were both lunching solo at The Half King and joined up for the usual engaging chat that dealers tend to have with each other. I then walked back to his gallery on 23rd street where I was lucky enough to catch the Cynthia MacAdams show in its last week. It's good to get out of the office sometimes. This was the first I had heard or seen of MacAdams, but there’s no question that she deserves to be more recognized. 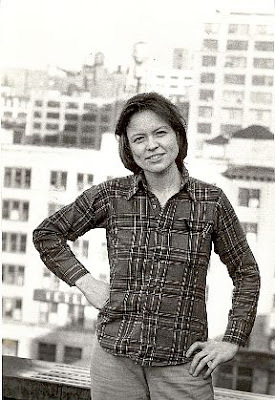 In the mid to late 1970s she was apparently the house photographer (so to speak) of the feminist movement, not only photographing the leading women artists, activists, and intellectuals of the time, but doing so from a specifically feminist point of view. Her subjects were portrayed as strong, independent, and self-assured and MacAdams style was refreshingly direct. It's hard to pinpoint exactly but the pictures do have a feminist spirit. Perhaps it's because with photography as with much else in life what you put in does come out. Anyway, I’ll let the pictures speak for themselves, but if you live in New York City and you hurry, you can catch the show as it’s up through Saturday. Scott Schuman (The Sartorialist) has always been good at catching weather shots, but he outdid himself this week with the snowy picture, above, which as of this writing had garnered 333 comments on his site! So kudos to Scott for bravery beyond the call of duty during Fashion Week! 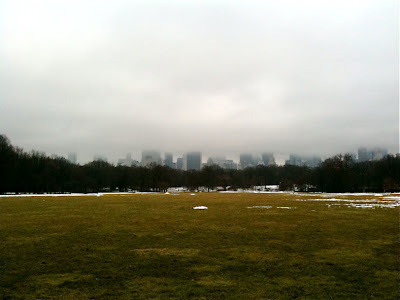 And a couple of shots from seasons past, below. 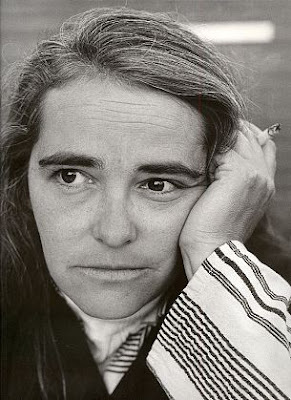 I'm on the road getting a first look at The Norton Museum's exhibition of Paul Fusco's "RFK Funeral Train" pictures and then moving on to do some business in Miami, so forgive me if there's a slight hiatus in posting. As regular readers of this blog know, I never tire of these Fusco pictures and in addition to the set of 20 I originally published, the Norton requested some extra prints to help fill the space it was going in, so I had the pleasure of selecting 6 additional images to add to the set. The Norton layout is sensitive and stately, and with the pictures positioned close together like railroad cars it's also quite dynamic - as you can hopefully see from the iPhone shot below. 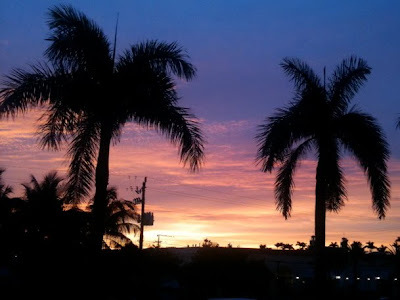 So if you're anywhere near Palm Beach (and I know that sounds la-de-dah), be sure to catch the show which runs through May 2. 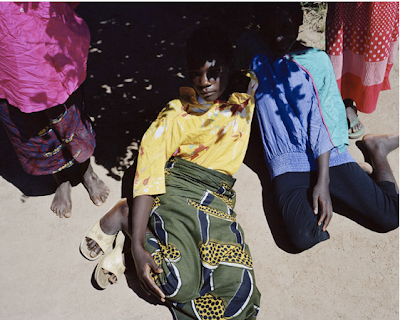 Last month, I mentioned how much I was looking forward to the Dutch photographer Viviane Sassen’s forthcoming show at my gallery. 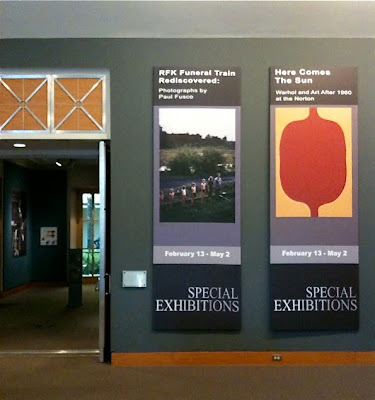 In the cycle of gallery life, we’ve now posted the press release, uploaded the pictures on the gallery website, designed the invitation card, and the prints are at the framer’s. So now it’s time for my blog preview. 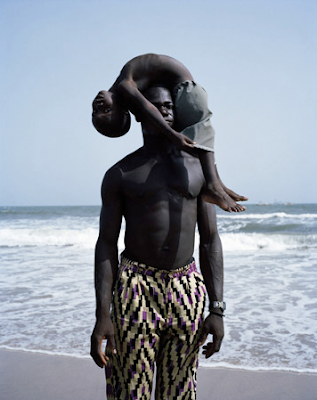 I met Viviane Sassen when we were fellow judges at the 2007 Hyeres Photo Festival, but as sometimes happens on these large panels, we barely got to know each other. 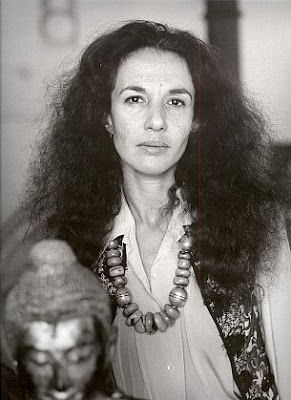 I lost track of her for a while and then in November of 2008, a show of new work she had done in Africa opened at FOAM (Photo Museum of Amsterdam). 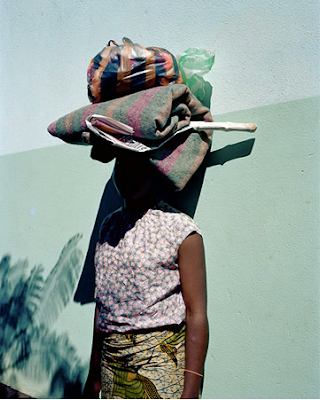 A kind of collaborative portrait, these pictures were on one level connected to Sassen’s childhood experience of living in Kenya, and on another level dealt with everything from photography’s depiction of race to an exploration of color, light, and shade. But most importantly these pictures were stunningly alive and they blew my mind for their freshness, power, and complexity. I was also not alone in my appreciation. 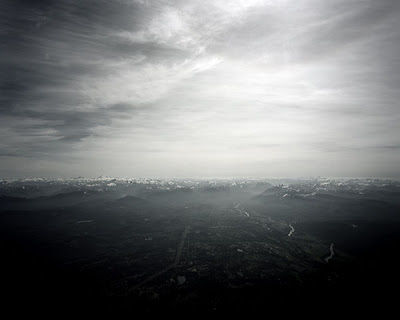 Sassen’s photographs won the prestigious Prix De Rome and were snapped up by museums and collectors all across Europe. 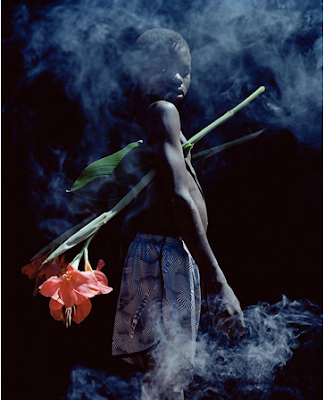 Then last year Sassen published a book of her African work titled “Flamboya” and after getting the book I immediately e-mailed her to offer her a show. I then had to go through the nail-biting process of persuasion and waiting for her to decide whether to do the show with me. (It’s certainly not always a given.) 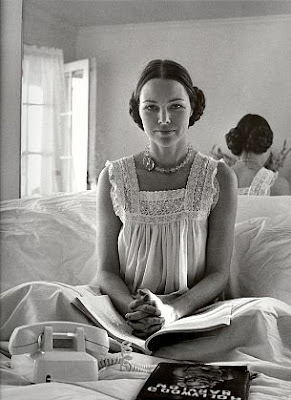 However, after flying to Paris to meet with her this past fall, we agreed to do a show that will now open on March 4. So mark your calendars – it’s going to be a hot night! In addition to the pictures above and below, you can see more here and here, and read a little more here. Good ol’ country lyrics and the stuff of real-life romance. I've been saving this for Valentine's weekend. It's the final scene of "Cinema Paradiso" when Salvatore, the protagonist and childhood assistant of the projectionist Alfredo, screens the reel that Alfredo had left for him - and finds a veritable history of cinema in censored clips. Set to Ennio Morricone's romantic score, it's a bittersweet valentine to love and an unconditional valentine to cinema. FYI - If you haven't seen the film, I would strongly recommend the extended Director's Cut, over the original version. 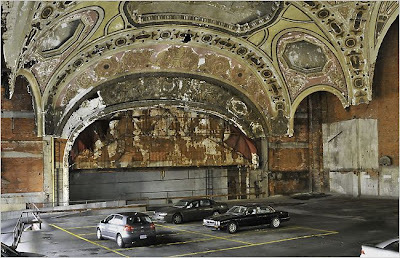 This photograph by Sean Doerr, used by the New York Times to illustrate the decline of Detroit, shows the once glamorous Michigan Theater, now used as parking garage. This picture from TMZ.com purports to show a young John Kennedy on a wild cruise. It's a fun pic, but it sure looks fake to me. 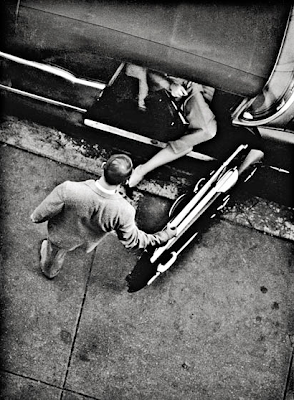 From The New York Public Library's current show on Eugene Smith - one of a series of pictures shot from Smith's New York apartment. 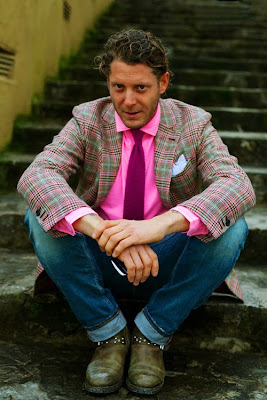 One of The Sartorialist's favorite subjects, Lapo Elkann. You either love or hate his style, but I think it's pretty cool. A sassy moment (and costume) in Paris caught by Tommy Ton. And lastly, from a series of pictures by Aaron Gustafson shot with a large format helmet-camera while freefalling from over 10,000 feet! 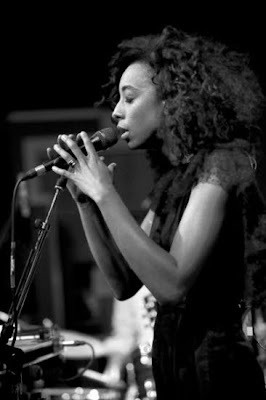 Just over three years ago, Corinne Bailey Rae breezed onto the scene with catchy singles like "Put Your Records On" and “Like a Star” - another blast of fresh air coming from the English music scene. 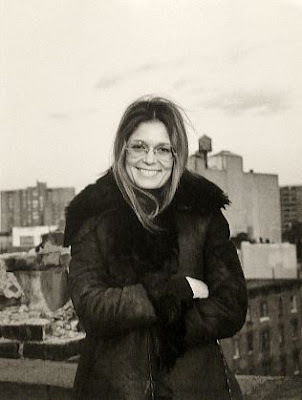 Not long after her initial success, however, Rae’s husband – a jazz musician and a recovering addict - died of a methadone overdose, and Rae’s follow up to her eponymous debut went on hold. 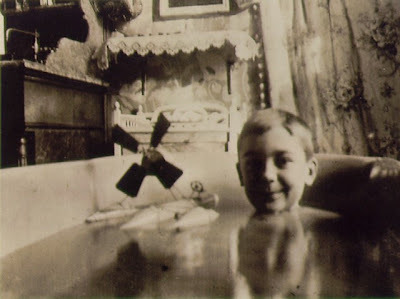 Now two years later, Rae’s second album – titled “The Sea” has just come out. Not surprisingly, it’s a deeper, less bouncy sound, and it takes some repeated listening to get fully into it, but the experience is worth the minor effort and the record is more moving than mournful. The title track, “The Sea”, particularly stands out for me. According to what I’ve read it was written before Rae’s husband’s death and is as much a song about recovery as loss. I wouldn't call this tasteful, but it's so well done and so inside art that when critic Charlie Finch passed it on to me, I felt it was worth sharing. Emily Cook, freestyle skiier. Sweater by Rodarte. As readers of this blog will know, I'm a big fan of photographer Ryan McGinley and New York Times Magazine Director of Photography, Kathy Ryan. And I'm pleased to say - they've done it again! 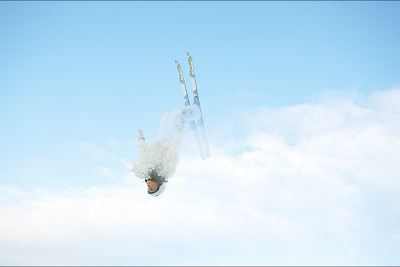 After creating a hugely successful Summer Olympics portfolio in 2004, they've just produced a brand new Winter Olympics portfolio on the theme of "Highfliers". I won't steal the magazine's thunder by nabbing their pictures so here's a link. And by the way, in my opinion, this kind of collaboration, with no absolute guarantee of success, is one of the few things that can keep that business vital and alive. 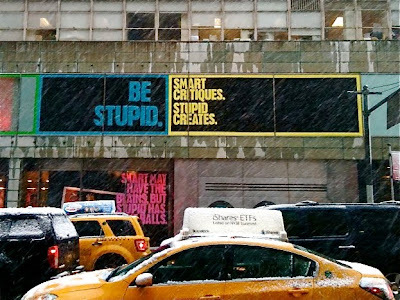 Be smart. Be creative. Take risks! 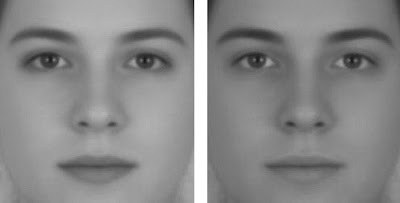 In a recent study by Richard Russell of Harvard University, the two faces above were perceived as male and female. However, both faces are actually versions of the same androgynous face. 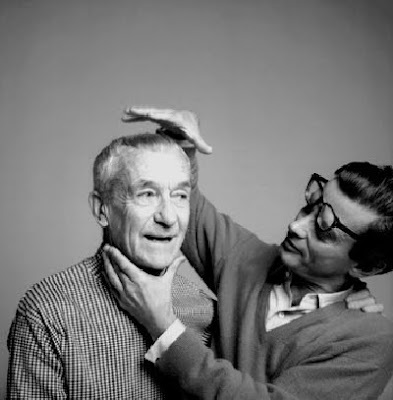 One face was created by increasing the contrast of the face, while the other face was created by decreasing the contrast. The face with more contrast is perceived as female, while the face with less contrast is perceived as male. I'm not sure that this proves much more than that pale skin and darker lips are usually interpreted as more feminine, but perhaps it also provides a useful printing (or make-up) tip, and a reminder that our visual perception is extraordinarily subtle. A while ago I was looking to see what cool iPhone apps there were for the phone’s camera when I landed on the site TechCrunch and a story on Japan’s 32 best iPhone apps. Most of the apps were games (which are of no particular interest to me), but one app appealed to me because of its blend of photography and what seemed a perfect instance of form following function in the most populist (pandering) way. This is Bijin-Tokei - a clock app which shows 1,440 different pictures of girls (one for every minute of the day) each holding a blackboard showing the current time. (Bijin Tokei means Hot Girl Clock.) To be exact, you often get the same girl displaying several different minutes. Apparently finding 1,440 willing models was too tough for v.1.. This seemed like such a simple formula for any kind of photography – I imagine if you’re a birder or a train spotter the thought of a different picture every minute of the day would cause equal excitement - I immediately recommended the idea to the photographer Stephen Schuster who has been working on a spring break project. 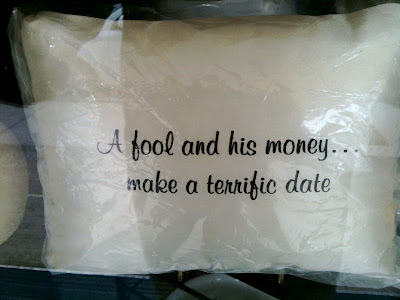 We'll see if he takes my advice and gets rich! As of yet there doesn’t seem to be an American version, but according to Asiajin: The Next Generation Internet Trends in Japan and Asia, there is now Binan Tokei – beautiful boys clock, Gal Tokei, Pit Babe version, a Korean version, and a planned French version. Not surprisingly the latest Tokei, AV-Tokei, features slightly different girls, i.e. pornstars. (“AV” is an abbreviation of “Adaruto Bideo/Adult Video). Lady and Gentleman photographers of all stripes: start your engines!